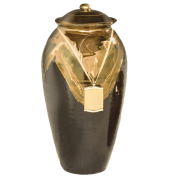 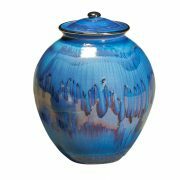 Artisans create these urns using a variety of techniques including blowing, shaping, firing, glazing and coloring. 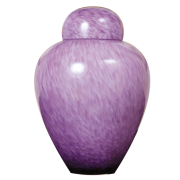 They can be any shape and may be quite intricate. 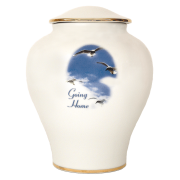 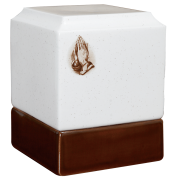 They are very delicate so are best suited for display in a cemetery columbarium or in the home.